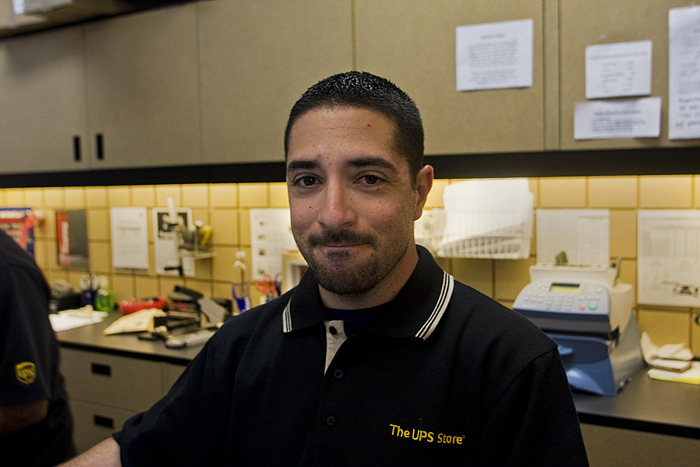 Louis helping ship a package at the UPS store in Pasadena, California. 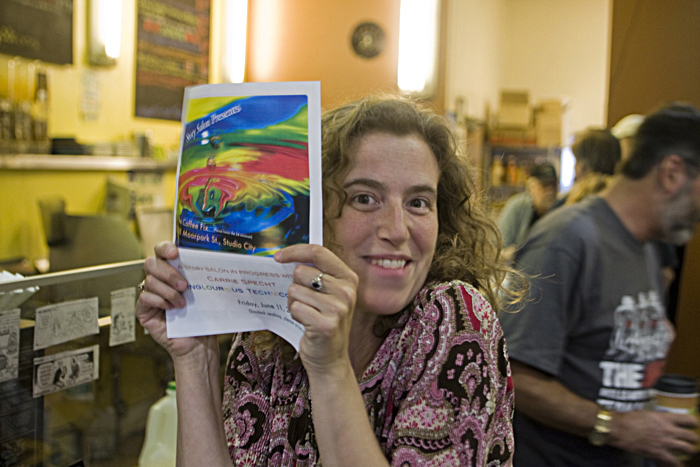 Amy at the Story Salon reading group, Studio City, California. 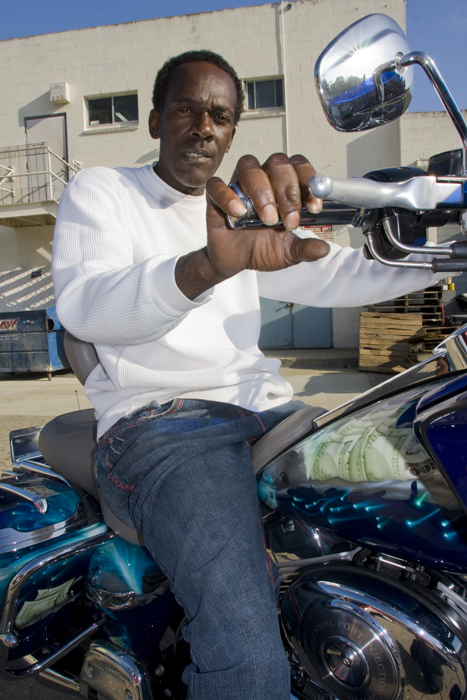 Frank on his newly painted Harley-Davidson motorcycle in Pasadena, California. 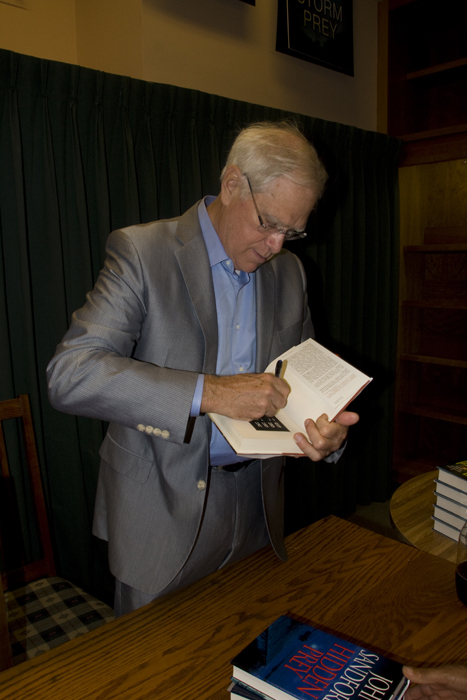 John Sandford signs his new book Storm Prey at Vroman's bookstore in Pasadena, California. 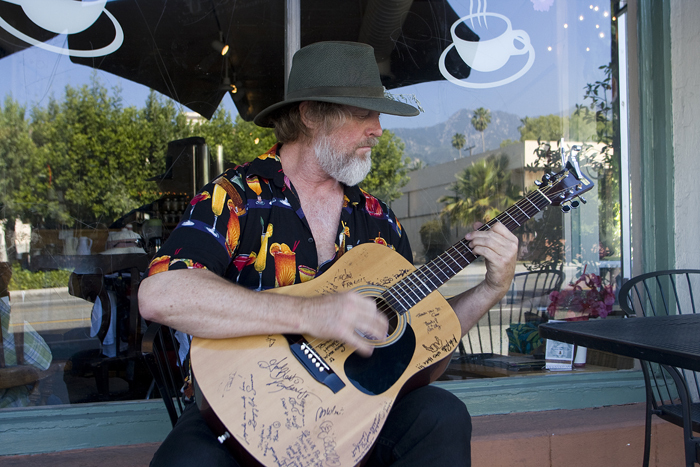 Dwane playing his guitar outside my local coffee shop The Coffee Gallery on a Sunday afternoon. Alta Dena, California. 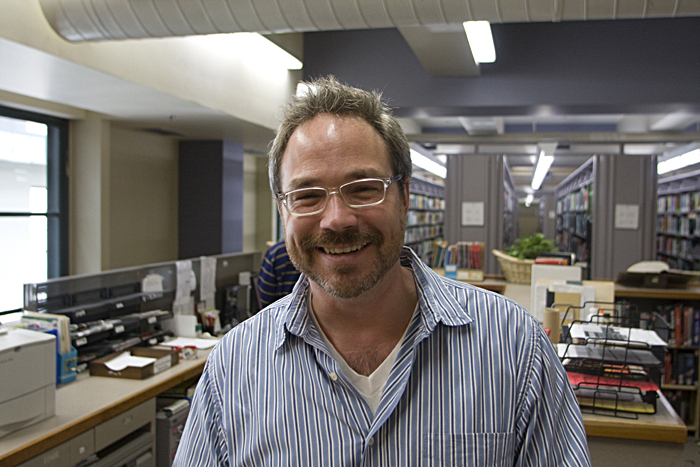 Jim, at work in the literature section of the Los Angeles Downtown Library. Allan at work photographing a wedding above Dana Point Harbor, California. 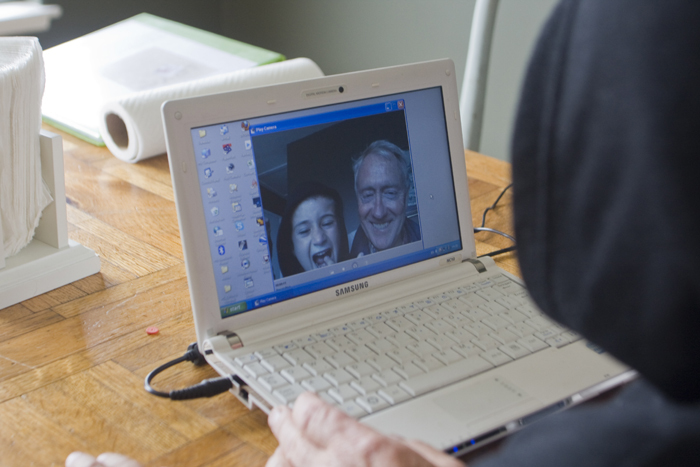 My nephew Vance and father Peter watch themselves on a webcam, Laguna Beach California. 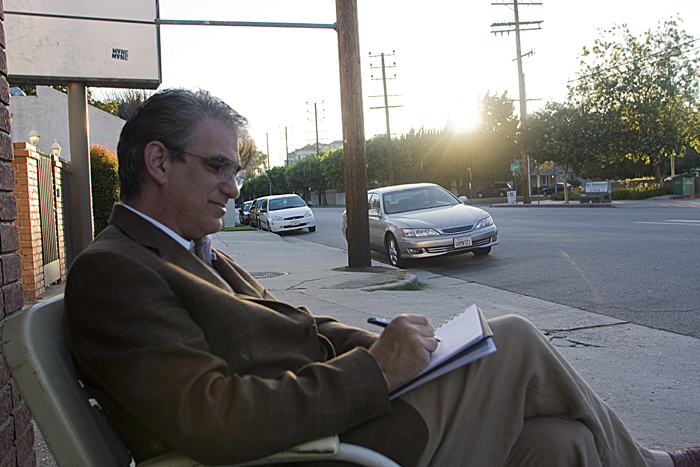 Dylan relaxes outside The Coffee Fix before reading at Story Salon, Studio City, California.